Looking for a legal NFL draft live stream? Click now to learn how you can watch the 2018 NFL draft online in its entirety without cable. Sling TV’s Blue package hooks you up with the NFL Network for a super cheap price. Take advantage of the first-month promotional price to stream the NFL draft on the NFL Network for dirt cheap. DIRECTV NOW doesn’t carry the NFL network, but it does have ESPN and lots of FOX coverage for a nice price. A brand-new crop of college players will join the big leagues in the upcoming NFL draft, and some of these teams could really use the influx of talent. Guess how many fingers it takes to count how many wins the Cleveland Browns got last year? Zero. Thank goodness the team has a chance to start anew with the number-one draft pick. Will the Cleveland Browns draft QB Sam Darnold out of USC with the number-one pick? Will the New York Giants steal Saquon Barkley with the second pick? Let’s talk about how to stream the NFL draft. If you want to catch all the action, make sure you get the NFL Network. It’s the only channel that will cover everything to do with the NFL drafts. But if you want to watch just the main NFL draft action, make sure you get FOX. Watching the 2018 NFL draft on the NFL Network will make your life easier because the channel will cover everything, and you’re guaranteed to get it in your area because it’s a cable channel (local channel availability can be hit or miss). You’ll probably want FOX going forward, though—assuming you actually want to watch those rookies play in games. Where can I stream the NFL draft? Like every NFL prospect, each streaming service has its strengths and weaknesses—some just have more strengths than others. What we like about it: The cheap price continues after the first month (unlike fuboTV). Sling TV hooks you up with the NFL Network for a pretty incredible price, which means you can watch the 2018 NFL draft without any hassle. You can even watch the NFL draft for free if you time it right with a 7-day free trial. Sling TV can get away with offering cheaper prices because it carries much smaller channel packages. The beauty of smaller channel packages is that you don’t have to pay for a bunch of channels you don’t watch—the bad part is that you might miss out on channels you do want. Thankfully, Sling TV offers the NFL Network and FOX in the same package, called Sling Blue, and it costs $25 a month. Take a look at the Sling Blue channel list and check out the other 40+ channels you’re getting. Before you freak out, yes, Sling Blue doesn’t carry ESPN. But don’t worry too much. When the season rolls around, you can upgrade your subscription to Sling Orange + Blue, which carries ESPN. In the meantime, why not savor the cheaper price, right? Sling TV doesn’t have quite the same streaming quality as PlayStation Vue or YouTube TV, but it’s certainly good enough considering the price. Both FOX and the NFL Network come with HD quality, so plan on your NFL draft stream looking pretty good. Here’s the bad news about Sling TV—cloud DVR costs an extra $5 a month. The silver lining is that even after the $5 a month, Sling TV is still the cheapest way to stream the NFL draft. If you’re the type of fan who watches the NFL live, then you won’t even need to use cloud DVR anyway. Besides, half the fun of watching the NFL draft is seeing all the as-it-happens reactions on Twitter. Sling TV has the most compatible streaming devices out there. Chances are you won’t need to pick up a new streaming device to watch the NFL draft. The best things fuboTV has going for it are the $19.99 introductory price and the NFL Network. You can try it out and watch the 2018 NFL draft for free with a 7-day trial. Along with FOX and the NFL Network, fuboTV gets you a total of 75 channels, with one glaring omission—no ESPN. That being said, it’s hard to recommend fuboTV to watch the NFL once the season starts. fuboTV doesn’t offer ESPN, and we won’t miss Monday Night football. However, it’s a great fit for watching just the NFL draft, and the introductory price gives you a chance to feel the service out without sacrificing a bunch of money right away. After the first month, your subscription jumps to $44.99, which is pretty expensive compared to other services like Hulu Live TV and YouTube TV. What sets fuboTV apart is its unique channel offerings like BeIn Sports, Chelsea TV, the Pac-12 Network, and NBATV. If none of those channels call your name, we’d recommend switching to another streaming service once the NFL season starts. What will streaming the NFL draft on fuboTV look like? We’ve watched so many hours of fuboTV, and we’ve found it to be a surprisingly smooth stream. You’d think that a company relatively new to the streaming scene wouldn’t keep up, but man, fuboTV looks pretty great. Granted, you’ll need an internet speed of at least 20 Mbps to make the stream smooth. But if you do, it’s definitely worth it. fuboTV comes with 30 hours of cloud DVR storage automatically included with your subscription. Sure, it would be nice to have unlimited storage like PlayStation Vue and YouTube TV, but if you avoid hoarding your content, you can make those 30 hours last. The NFL draft is only a couple of hours long, after all. You can watch the NFL draft with fuboTV on any of the main streaming devices, like Apple TV, Chromecast, and Roku. Even though you’ll miss out on the NFL Network, you can watch the 2018 NFL draft on ESPN and FOX. Thank goodness the NFL draft broadcasts all over the place. You can stream the NFL draft for free with a 7-day trial. This is what DIRECTV NOW has over all the other streaming services—the cheapest price per channel. The basic Live a Little DIRECTV NOW channel package gets you over 60 channels, including ESPN and FOX, for $35 a month. Let’s put that number in context; PlayStation Vue offers 48 channels for $39.99, and YouTube TV also gets you 60 channels, but it costs $5 more a month. If you’re the type of fan who wants to flip channels between draft picks, DIRECTV NOW might be your TV soulmate. If you’re watching the NFL draft, then we would bet our entire bank accounts that you’re going to watch the actual season as well. DIRECTV NOW gets you ABC, CBS, ESPN, FOX, and NBC, so this subscription can be your friend for months to come. The worst thing about DIRECTV NOW is its lack of cloud DVR storage. A streaming service without cloud DVR is kind of like a QB who can’t run—you’d probably prefer a streaming service that can do it all. Thankfully, DIRECTV NOW is supposed to add cloud DVR storage sometime soon, but it probably won’t be before the NFL draft rolls around. Plan to watch the NFL draft live (which might be even more fun anyway). If you’re new to cutting the cord, DIRECTV NOW will make you feel right at home. The interface feels just like a cable service with the classic guide and menu style. You’ll have no problem flipping through your (many) channels. You can stream the NFL draft on DIRECTV NOW with any of the major streaming devices, like Apple TV, Chromecast, and Roku. We know the question you’re asking is, “Do I need a PlayStation to stream the NFL draft on PlayStation Vue?” Heck no! PlayStation Vue streams on tons of devices (at least the ones that aren’t called Xbox). You can try out PlayStation Vue and watch the NFL draft for free with a 5-day trial. Let’s say you start watching the NFL draft on the NFL Network, but then you get a little tired of the commentators, so you decide to flip over to FOX. After a few minutes, if you’re in the mood for something different, you can flip over to ESPN and watch the NFL draft there. You’re bound to find the right NFL draft broadcast with PlayStation Vue. PlayStation Vue has four different channel packages to choose from. We’d recommend going with Core package for $44.99 a month. That’ll get you ESPN, FOX, and the NFL Network along with over 50 other channels. When you’re watching the NFL draft, you want to see every pore of these new recruits. You never know—one of these picks might end up being a Hall of Famer, so you’ll want to remember the moment they were drafted in the highest definition possible. PlayStation Vue offers one of the smoothest streams we’ve come across, and it’ll look great while you watch the NFL draft. There’s another cool thing about PlayStation Vue—unlimited cloud DVR. You can record all seven rounds of the NFL draft and watch them whenever you want. There’s one catch to remember, though. Your content automatically deletes after 28 days.  We know it sounds like you need a PlayStation to stream PlayStation Vue, but you don’t. You can stream the NFL draft on most of the major streaming devices out there. You’ll have to live without the NFL Network, but Hulu with Live TV brings everything else to the table. Watch the NFL draft for free with a 7-day trial. Hulu with Live TV has a lot going for it—tons of FOX coverage, ESPN, 50 hours of cloud DVR storage, access to the entire Hulu library—but there’s no NFL Network. But hey, that’s okay—you can watch the NFL draft on ESPN or FOX (take your pick! ), and when the season rolls around, you can watch the actual games. We know that the NFL Network sounds really nice, but it’s certainly not essential to watch tons of NFL action. The channel package you get costs $39.99 a month and comes with over 60 channels that you should definitely check out. You’ve got pretty much everything an NFL fan needs with Hulu Live, except for the NFL Network. Arguably the coolest thing about a subscription to Hulu with Live TV is that you get access to the service’s entire on-demand streaming library as well. Let’s say you want to take a break from streaming the NFL draft; you can search for a favorite show like Brooklyn Nine-Nine, The Last Man on Earth, or Seinfeld. Flip back and forth between the NFL draft and whatever show your heart most desires. That’s really taking advantage of your TV time. You also get 50 hours of cloud DVR storage with your subscription, which is plenty of space to record all seven rounds of the draft. But you’ll want to delete stuff after you watch it—50 hours of cloud DVR can be fill up surprisingly fast. You can stream the 2018 NFL draft with any of the major streaming devices out there on Hulu with Live TV. Our last recommendation to watch the 2018 NFL draft is YouTube TV. It doesn’t have the NFL Network, and it’s more expensive than a Sling TV or DIRECTV NOW, but it looks really good. You can try it out and watch the NFL draft for free with a 7-day trial. A YouTube TV subscription gets you over 60 channels, including FOX and ESPN, for $40 a month. No, you don’t get the NFL Network, which means you’ll miss out on the red carpet event and all the other coverage you get. YouTube TV also has a solid number of FOX affiliates (77) , so you’ll have a good chance of picking up the local channel in your area. It sounds sort of impossible, but you can literally record everything with your YouTube TV subscription. That includes every round of the NFL draft and the entire NFL season. The only catch is that your content deletes after nine months . We’ve tested every streaming service out there, and we have to admit, YouTube TV is one of the best in terms of streaming quality. It’s between YouTube TV and PlayStation Vue, and it seems like YouTube TV is pulling ahead. YouTube TV isn’t compatible with tons of devices, but if you have an Apple TV or Roku, you’ll be just fine to stream the NFL draft. With streaming services still working on providing local channels across the nation, the safest bet for watching FOX and your other local channels without cable is still an antenna. All you gotta do is plug in the antenna, and you should get the local channels in your area. You won’t have access to ESPN or the NFL Network, but you also avoid having to pay any monthly subscription fees. If you like the sound of that, we recommend going with the Mohu Leaf on Amazon. It picks up broadcasting signals really well, isn’t an eyesore, and is eco friendly to boot. Let’s be honest—teams have been tanking for the best picks this NFL draft, and it’ll be interesting to see if there are any future Hall of Famers in this year’s draft class. Enjoy watching these new players start their careers without cable prices putting a downer on excitement. We’re going to shoot you a few questions. What streaming service did you go with, and what’s your experience been like? Is your streaming device working well for you? Let us know in the comments below.